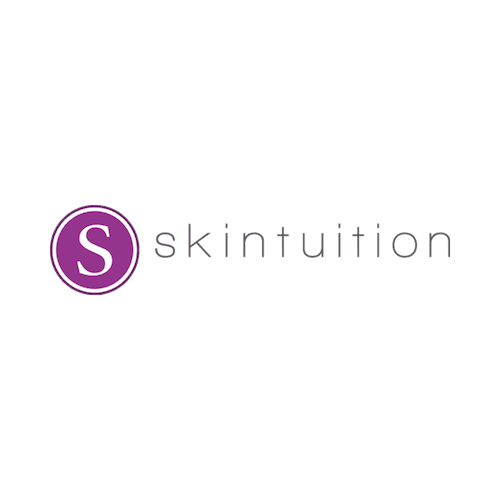 The Brazilian Bikini Wax at Skintuition removes all the hair from your bikini and pubic area, front and backside. You may choose to have everything taken off, or to leave a small strip of hair on the front, like a strip or a triangle. This is the most popular waxing procedure that we offer! We have done thousands and thousands of Brazilian waxes over the years, so you can trust that you are in good hands with experienced waxers. Well, of course, pulling hair follicles from any part of your body isn’t the most comfortable thing that you can do. However, in the hands of our experienced estheticians the process moves along very quickly, and is very tolerable. Your experienced Brazilian Waxer will make sure she holds your skin taught, and she may even ask you for help. To minimize discomfort, you might not want to wax right before or during your menstrual cycle. You will find it is a little more painful on these days. Also, avoid caffeine before your Brazilian Waxing appointment. It can also make you a little more sensitive. The best way to minimize the discomfort is to take an ibuprofen 30 minutes before you wax. Whatever you have heard about the pain involved in Brazilian Bikini Waxing, forget about it! The best thing you can do is try to not be tense, try to stay calm, and breathe. It’s really not that bad, and it will be over before you know it! What can I expect it to feel like right after my wax? If this is your first time getting a Brazilian Bikini Wax, you can expect that you may be a little tender for a few hours, or up to a day. It is best to wear loose fitting pants and breathable cotton underwear the day of your appointment. It’s not a good idea to work out, or do anything else that involves a lot of friction right after a wax, so avoid the gym for 24 hours. These precautions are really only necessary for the first few times that you wax. Once you start waxing regularly, you will become used to the procedure, and it will be a breeze! How long do I have to let the hair grow out to get a Brazilian Wax? Do not shave or tweeze for a minimum of 2 weeks to ensure that the hair is long enough for the wax to grip. But honestly, the longer the better for your first wax. It is VERY important to have enough hair growth when you come for your appointment. ¼” of growth is the minimum for a thorough waxing. A good test would be to see if you can pinch the hair between your fingers and pull it. If you can grip it, then it is long enough. You will also get a smoother result if you wait longer because it will ensure that all of the hairs are grown out long enough. So for your first wax, try to wait 3 weeks or longer. It really depends because hair grows at different cycles. If you let your hair grow out long enough before your wax, you will get the smoothest result. Usually, the hair will start to slowly grow back in after about 2 weeks, but it will not be fully grown in until 4-6 weeks. If you decide to stick to Brazilian waxing, we would ask that you NEVER shave, and that you make your appointment to come back in every 4-6 weeks. If you stick to this schedule, your hair will start to grow back slower, softer, finer, and more sparse. Also, the waxing will become easier for you! Yes. Just wear a tampon, and know that you will be more sensitive. Yes, we do Brazilian waxing on pregnant ladies all of the time. However, please discuss with your doctor to make sure there is no reason that you may not be a candidate for this. You may be more sensitive when you pregnant during your wax, so expect that it may hurt a little more than usual. At Skintuition, we use only the finest waxes. They are designed to remove hair at the root, leaving your skin smooth for weeks. We offer both soft wax (wax with strips) and hard wax and will choose which is more appropriate for your skin. We maintain the highest standards of cleanliness, so that your experience is as pleasant and stress-free as possible. We NEVER double dip waxing sticks! We go through A LOT of sticks to ensure that your wax experience is as sanitary as possible. We cannot wax you if you are using Retin A, Renova etc. on the area to be waxed, or if you are taking Accutane. You must be of Accutane for 3 months before you can begin waxing again. Also, we will not wax you if you are sunburned in the area. Can I go tanning before or after Brazilian Waxing? It is best to not use a tanning bed 24 hours before and after waxing. You can do an Airbrush tan after your wax, but not before because the wax will remove your tan.